Hitting the 1 yr mark… well for me—it is the 6 month mark! The GNB team opened their doors, hearts and blog to me as a guest poster 6 months ago. First just a once a week or so gig but since our great stint on Air America I’ve gotten the wings to fly more frequently and you all have been so very supportive! So first off, Congrats to the Fantastic Foursome LM, Sara, HS, And Doc for getting this gig going and keeping it rolling along. Also thanks to Evan for some great research and writing. Second, I am proud of what they do, and so happy to be among you our readers, commentors, lurkers and occasional stoppers-by. I want to keep pushing myself and am thrilled to be with such wonderful company as a part of the show. Some of my contributions from then until now. and more good stuff on the way I hope! 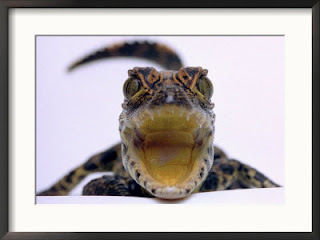 Thanks for the last year of writing from the Gods and Goddess of the masthead, the last six months of opportunity for this little gator and thanks in advance for the next year of passionate, pragmatic, progressive blogging! I really am thankful for this community each and every day. Don’t forget, I am waiting to share that cup of tea with everyone.